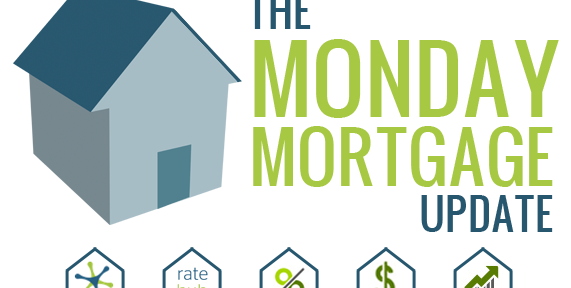 Last week, four of Canada’s biggest lenders (BMO, TD, RBC and Laurentian Bank) lowered their 5-year fixed rates by 10 basis points (bps) or 0.10%. 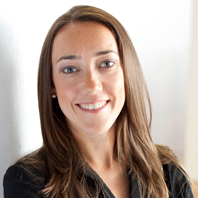 Typically, when one of the bigger lenders makes a move on rates, the rest usually follow suit. It’s likely that we will see CIBC, Scotiabank and National Bank make similar rate reductions on their 5-year fixed rates later this week. 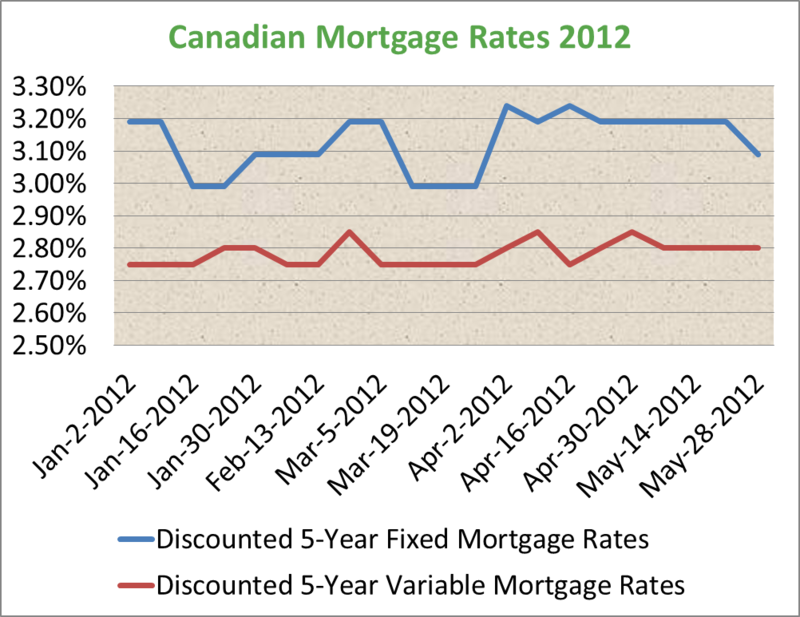 Here is a chart displaying where the aforementioned banks stand with their 5-year fixed rates. 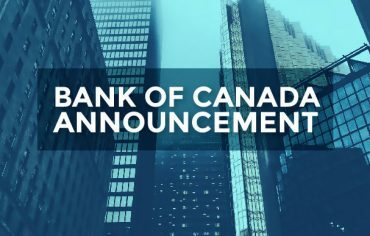 According to Genworth, Canada’s second largest mortgage default provider, the Bank of Canada will likely hold off rate hikes for another year. 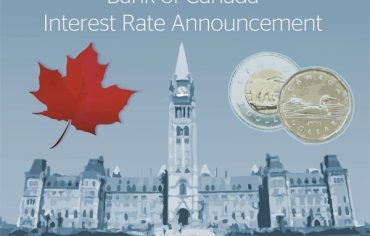 Any effort to raise interest rates in Canada before the US Federal Reserve does, will place upward pressure on the Canadian dollar – something the central bank wants to avoid. 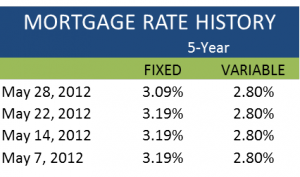 Genworth is forecasting the prime rate will increase to 3.30% by 2013. 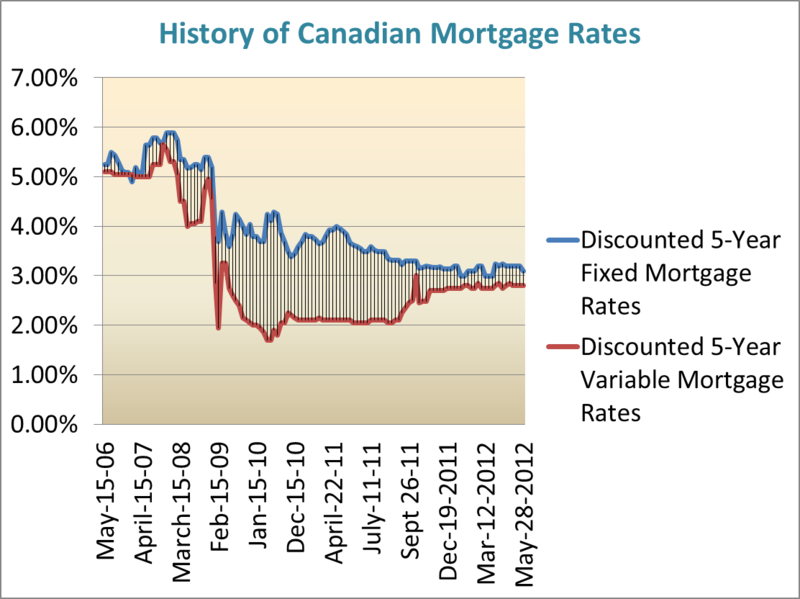 The current prime rate, which drives variable mortgage rates, has been at 3.00% since late 2010.